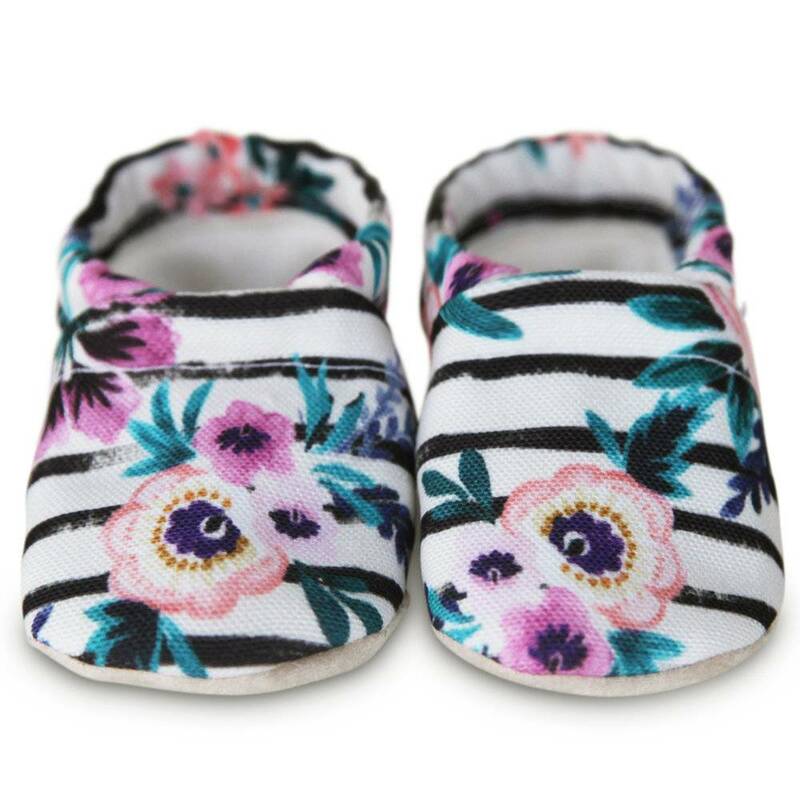 These handmade, vegan, washable baby shoes are exceptionally soft, sweet and durable. 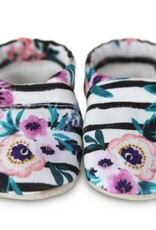 Shoes feature an ultra soft organic cotton lining and patterned eco-friendly canvas fabric exterior. 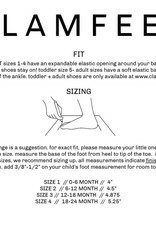 Shoes may be worn indoors or outdoors, with or without socks. This slip is similar to a mocc fit, and one with soft, heat resistant rubberized grip soles. 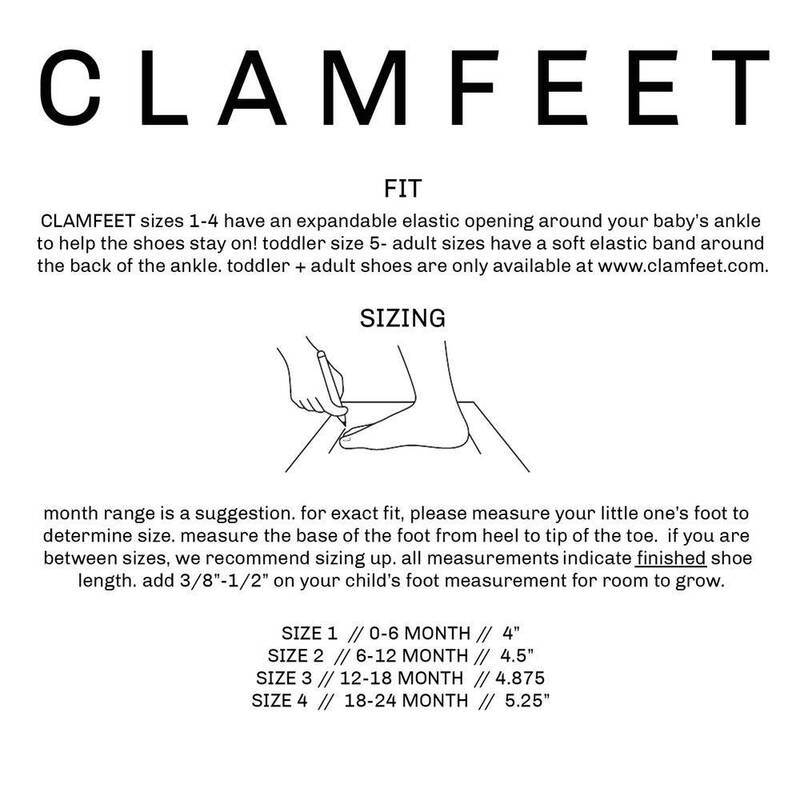 Featuring a unique design, each pair of shoes expands open with soft elastic and closes around your little one's ankles, allowing for a universal fit appropriate for thick or skinny footed babies alike! Wash shoes with like items and colors using phosphate free detergent and tumble dry low.